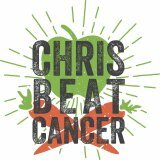 The Chris Beat Cancer Christmas Giveaway Bonanza! A HUGE giveaway to my blog subscribers, with 27 winners and over $7000 in prizes. And I have no doubt that you’ll find some great gift ideas here too. On December 15th, 27 people will each win one of these awesome prizes! -A Coco-Jack Pack ($50) 3 winners! -A Berkey Shower Filter ($47) 3 winners! -A Thrive Market Lifetime Membership ($60/year) 3 winners! -A 3-month supply of Beta-1 3D Glucan ($183) 4 winners! –The Truth About Cancer Gold Edition DVDs and transcripts ($297) 5 Winners! Even if you’re already a subscriber, you still have to enter the drawing to be eligible to win. If you enter here, you might win. If you don’t enter here, you definitely will not win. If you don’t want to win, not entering here is your best course of action. On December 15th, 27 winners will be randomly selected and notified by email. The names of the 27 winners will be put into a hat, and the 27 prizes will be put into another hat. I will post a video in which I will pull a name from one hat and a prize from the other. And that’s how the winners prizes will be picked. No purchase necessary, void where prohibited, no gremlins, etc. (Full contest rules in legalese on the entry page) Also if you live in a place where shipping is impossible or crazy expensive (like Antarctica) we may have to pick someone else. All of these items are enthusiastically used and endorsed by me, and many of them make fantastic gifts. And I have negotiated special coupon codes for you on most of them as well. Yay! If you order any of these items as gifts, and then end up winning one, they can refund your payment, or send the prize to you, or send it to anyone you want (who is not living on Antarctica). Three winners will get a Coco-Jack Pack ($49.95 value) to share. Just kidding. They will each get their own. The Coco-Jack is the greatest coconut opening tool ever devised by man. I demonstrate how to open a coconut with it in 3 seconds here. The Coco-Jack Pack includes the Jack, mallet, scraper and bag. Learn more about the Coco-Jack here. A DefenderShield Laptop pad, iPhone case and iPad case! One winner will get a DefenderShield Laptop pad, iPhone case and iPad case (or store credit of equal value). DefenderShield products block virtually 100% of harmful EMFs from your mobile electronic devices, including cellular radiation, wifi radiation, bluetooth radiation and extremely low frequency (ELF) radiation. I have all three products and I think they are terrific. A Thrive Market Lifetime Membership! Three winners will each get a Lifetime Membership to Thrive Market ($60 per year value). Thrive Market is an online grocery with a huge selection of organic food, supplements, personal care and beauty products, delivered to your door at 25-50% off retail prices, with free shipping on orders over $49. Plus you can save your favorites, and reorder with just a few clicks. Thrive Market is a huge time and money saver. One winner will get a BōKU Super Food Bundle ($189 value) which includes their Super Food, Super Fuel, Vegan Super Protein Powder, Super Snack Trail Mix, and a Blender Bottle. BōKU produces certified organic/vegan/ kosher super food products with awesome ingredients. For example, BōKU Super Food contains Barley grass, Nettle leaf, Nopal Cactus, Broccoli, Spinach, Kale, Cabbage, Parsley, Spirulina, Chlorella, Kelp, Maca, Mushrooms, Mesquite, and more! Stockton Aloe Vera Gel and Skin Cream! One winner will get four 58oz bottles of Stockton Aloe 1 Aloe Vera Gel, plus a tube of YouthDerm Ultra Healing Aloe Cream. Stockton Aloe produces the highest quality Aloe I’ve ever seen. It is 100% pure, raw, unfiltered, preservative-free, hand-harvested, frozen and shipped directly to you. Aloe is known for it’s unique gut-healing and immune-boosting properties, and was part of my anti-cancer protocol in 2004. Today I drink 6-8 oz nearly every day mixed in a fruit smoothie. Note: Shipping on this item is limited to the Continental U.S.
A Certified Reconditioned Vitamix Blender! The Annmarie Skincare Dream Basket! One winner will get the Annmarie Skincare Dream Basket ($607 value). This ridiculously huge basket includes: The Aloe-Herb Facial Cleanser, Neroli Toning Mist, Anti-Aging Facial Oil, Anti-Aging Serum, Repair Serum, Anti-Aging Eye Cream, Coconut Honey Mask, Ayurvedic Scrub, Dead Sea Scrub, Purifying Mud Mask, Coconut Body Oil, Sun Love, plus the basket, spa pillow and a bath stand! My wife and I love Annmarie Skincare products, and the people behind them! A 6-month Supply of pHresh Greens! One winner is getting a 6-month supply of pHresh Greens ($240 value). pHresh Greens is one of my favorite raw, organic, gluten-free, greens powders made from barley grass, wheat grass, oat grass, chlorella, spirulina, parsley, alfalfa, collards, broccoli sprouts, and kale! I drink it first thing in the morning with water, but it’s also easy to mix in to juice or a smoothie. I also love their single serving packs for traveling. One winner will get a Champion Juicer ($295 value). I love my Champion Juicer because it extracts a lot of juice, it’s fast, it’s easy to clean up, and it’s built to last. It’s made in the USA with a 10-year warranty. I’ve had a Champion Juicer in my kitchen since January 2004. Need I say more? A 3-month supply of Beta-1 3D Glucan!